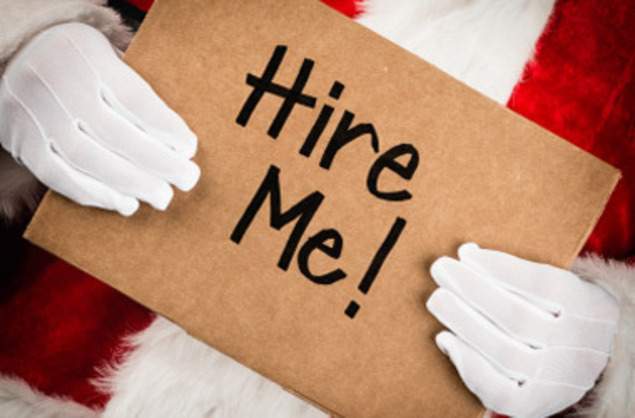 Make sure you're not left out in the cold when it comes to the holiday job hunt! If you’re looking for retail employment this year, it’s important to remember to apply at the chains that are thriving. Discount retailers have been doing especially well and will likely continue to do so, as well as luxury retails. If a company is struggling, it will be that much harder to secure employment since they are likely stretched thin. Discover the top companies hiring seasonal jobs for 2018. When it comes to companies needing holiday help, retail is where it’s at. Look up major retailers online to see if they’re hiring seasonal or part-time staff. Common job postings for seasonal employees include in store associates, distribution centers or customer service counters. You can often submit applications online, too. Even if you find a job opening online and apply, you should always make a point to go into the store and introduce yourself as a current job applicant. It will help you stand apart from the piles of applications that every manger receives for the upcoming hiring season. Introducing yourself often makes a difference in whether or not you get the job so, even though it’s easier to only apply online, you may not get the result you’re looking for. Consider the stores or companies people usually frequent for holiday gift-giving outside of the mall. The first place most workers will be looking is at the mall, so you’ll likely decrease your competition if you venture out. When it comes to seasonal employment, the competition is fierce - especially for the jobs that pay well or offer hefty employee discounts. Make sure to apply as early as possible and follow up in a timely matter. Stores get piles of applications for seasonal employment and an overwhelmed manager will appreciate you putting in the extra effort to remain in contact. If you’re willing to work on certain dates or shifts that aren’t as popular, you’ll get a leg-up on the competition. If you remain open and flexible with your schedule, you’re more likely to position yourself as a great fit for seasonal employment. Most seasonal positions fall within the retail sector, although there are also some creative holiday jobs, too. Although retail may not be your chosen career path, it’s important to remember that you’ll be working with others who have chosen retail for their careers. Never insult the profession or make it known that it’s just a temporary fill for you or you’re likely to alienate people and not get the job. One of the reasons you may be applying at a particular retailers is for the great employee discount. You have holiday shopping to do to, right? While everyone is aware this is one of the perks of working retail, never mention this in your application, interview or to a fellow employee - even if you're joking. As someone who worked in the retail industry for over ten years, I can promise you: it's a surefire way to get your resume in the reject pile. Retailers look for workers who love the store, but want to work there for the culture, not the discount. Consider it one of those secrets that everyone knows but nobody ever says out loud - assuming you want the job. According to Monster, there are many seasonal job myths you should ignore, like thinking all seasonal jobs are in the retail industry. Find out what the myths are so they it won't hinder your job search. Did you know you can find part-time job listings on Fastweb? They're updated frequently and listings are based on your location. You can even flag listings you like so you'll never miss an opportunity! Find a great seasonal part-time job hiring near you today. If you'd like even more tips, check out Monster's seasonal job tips. Still looking for seasonal employment? Find out who's hiring for the 2018 holiday season.